I loved this book, too. I picked it as a graduation gift for a friend - and ended up reading the book myself first (yeah, I know, shame on me :/). Grigg was my favourite character. I just wanted to smother him with hugs! I want to read this! I have seen the movie and loved it! Thanks for the review! I agree that the book is pretty fun, and I think the movie is true to it. Since my JASNA regional group is fairly small, we function as a book club and believe me, it is fun to get together with like-minded sorts to debate who was worse, Wickham or Willoughby. 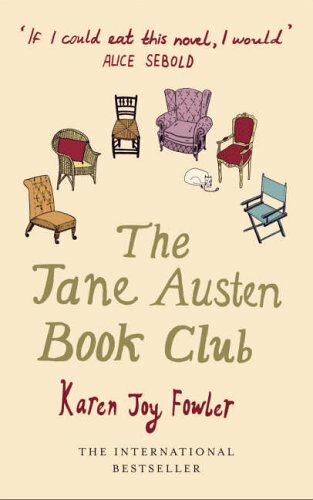 I read this book a while go thinking it would be a good introduction to Jane Austen. Embarrassingly, I've only read (and loved) P&P. And maybe because I wanted more Austen than it gave, but the book disappointed me incredibly. Then, through happenstance, I watched the movie on television a couple of months ago. The movie was okay - and better than the book (IMO) - but still it didn't do it for me.